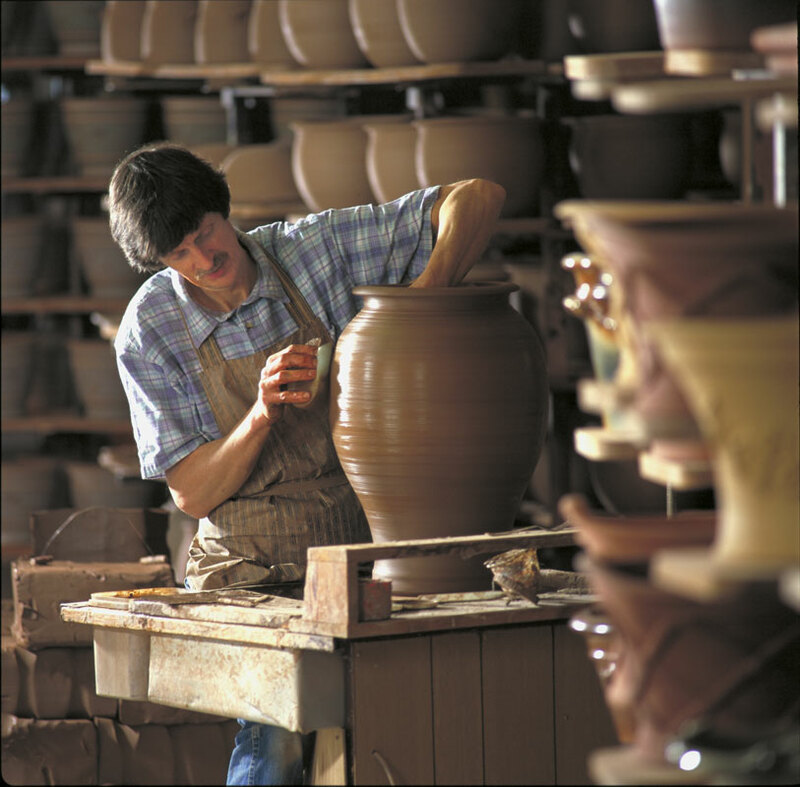 Kiltrea Pottery is light years away from the machine-made and mass-produced. 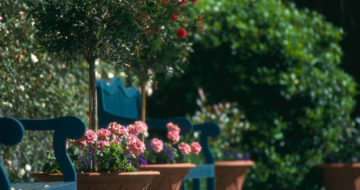 Kitchenware is quietly understated, restrained and elegant while garden pieces exhibit clean, robust and enduring lines. Kiltrea Pottery is distinctive: Michael’s creations are instantly recognisable and possess fluidity, grace and honesty of form. His work reflects a maker who has immense technical skill and a keen understanding of the material he uses. 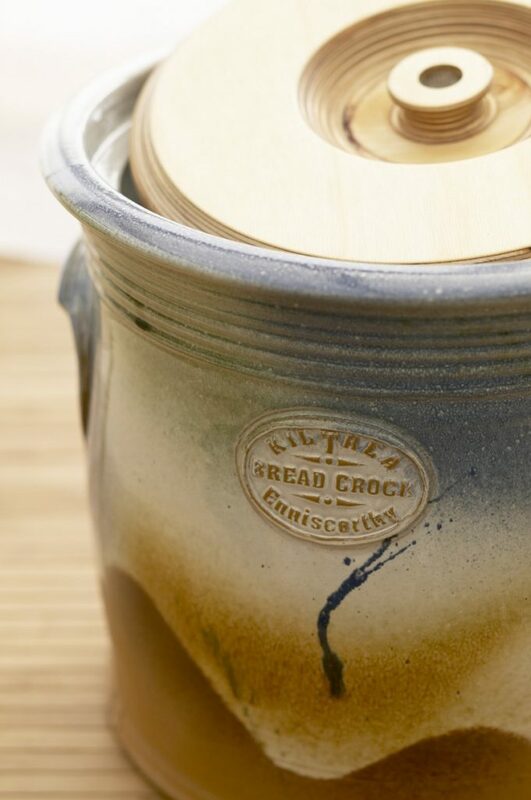 Kiltrea pots display incredible attention to detail and showcase the sheer organic beauty of Kiltrea’s clay; clay which is processed on-site from raw materials sourced locally in Wexford and from counties Cavan, Cork and Tipperary. 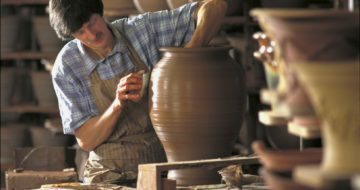 Michael researches and experiments with his own unique blends to produce a clay that is of superior quality, durability and strength. 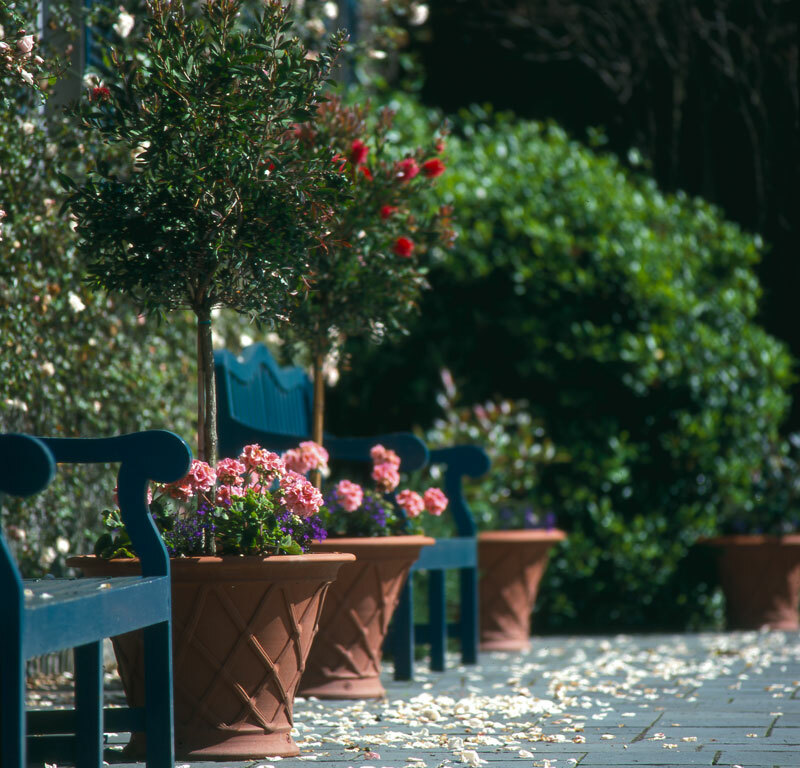 Michael and his team of local craftspeople produce pots that grace glamorous kitchens, enchanting patios and both private and public gardens throughout Ireland and Europe. The Kiltrea Shop which adjoins the pottery provides inspiration, stimulation and the practical opportunity to browse through Kiltrea’s complete range of stock which includes spectacular one-off pieces and keenly priced seasonal specials. So come along and gift-buy in relaxed surroundings and get fired-up with a little bit of Kiltrea’s home and garden magic. Kiltrea Pottery is also available from Ireland’s leading retailers. Please see our web site for details. Opening hours vary seasonally, please ring or see our web site for details. Major credit cards excepted. 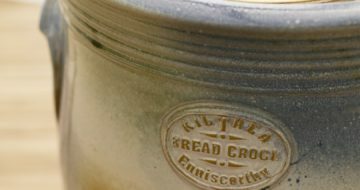 Kiltrea Pottery is located 3.5 miles from Enniscorthy just off the Kiltealy Road (R702). Watch out for our fingerpost signs.